Grab a 100% bonus & up to 250 bonus spins - Winning! Step 1: Click here to go to Winning Room Casino! Winning Room Casino T&Cs apply. Click here for full details. New members only, opt in required. Min £20 deposit and wager using code WIN. 1 spin in the Wheel of Fortune which an be found in Twin Spin. The spin can generate additional free spins in Twin Spin ranging from 15-250 extra free spins. 30 day expiry from opt-in. 18+ Rules & T&Cs apply. Tired of downloading hundreds of games to your PC? Not an issue at Winning Room Casino! Dip in to dozens of top titles at the click of a button. See what’s new, find out what’s popular or search out your personal fave with their handy filter feature and get spinning in a matter of seconds. If all those slots weren’t enough, Winning Room Casino also boasts a selection of card and table games. Itching for that real life casino experience? Open the door to the Live Casino and play along with real dealers as they deal, spin and roll! We love this feature as it lets you watch the play happening live – no simulations here! You’ll love the exciting offers available at Winning Room, such as weekday tournaments, weekend happy hours and other great promotional deals. They’ve made the terms really clear too, so you’ll find all the details you need on the promotion itself, then in your account you can track your progress and see exact how much wagering remains. All in all, Winning Room Casino is just a super convenient way to have a few spins. It’s easy to navigate and most of all, bags of fun. Mosey over today and see for yourself! Click here to claim and play! Sign up to receive promo emails into your inbox! Super Free Slot Games – a product of Little Star Media Ltd. This Policy sets out the obligations of Little Star Media Ltd, a company registered in the United Kingdom under number 5957310, whose registered office is at Suite 478-480, Exchange House, 450 Midsummer Boulevard, Milton Keynes, MK9 2EA (“the Company”) regarding data protection and the rights of subscribed customers and site users (“data subjects”) in respect of their personal data under EU Regulation 2016/679 General Data Protection Regulation (“GDPR”). The Super Free Slot Games website is not for use by those under the age of 18 years and/or those living outside the UK. The GDPR defines “personal data” as any information relating to an identified or identifiable natural person (a “data subject”); an identifiable natural person is one who can be identified, directly or indirectly, in particular by reference to an identifier such as a name, an identification number, location data, an online identifier, or to one or more factors specific to the physical, physiological, genetic, mental, economic, cultural, or social identity of that natural person. This Policy sets the Company’s obligations regarding the collection, processing, transfer, storage, and disposal of personal data. The procedures and principles set out herein must be followed at all times by the Company, its employees, agents, contractors, or other parties working on behalf of the Company. The Company is committed not only to the letter of the law, but also to the spirit of the law and places high importance on the correct, lawful, and fair handling of all personal data, respecting the legal rights, privacy, and trust of all individuals with whom it deals. The Company may change this policy from time to time by updating this page. You should check this page from time to time to ensure that you are happy with any changes. Processed lawfully, fairly, and in a transparent manner in relation to the data subject. Collected for specified, explicit, and legitimate purposes and not further processed in a manner that is incompatible with those purposes. Further processing for archiving purposes in the public interest, scientific or historical research purposes or statistical purposes shall not be considered to be incompatible with the initial purposes. Adequate, relevant, and limited to what is necessary in relation to the purposes for which it is processed. Accurate and, where necessary, kept up to date. Every reasonable step must be taken to ensure that personal data that is inaccurate, having regard to the purposes for which it is processed, is erased, or rectified without delay. Kept in a form which permits identification of data subjects for no longer than is necessary for the purposes for which the personal data is processed. Personal data may be stored for longer periods insofar as the personal data will be processed solely for archiving purposes in the public interest, scientific or historical research purposes, or statistical purposes, subject to implementation of the appropriate technical and organisational measures required by the GDPR in order to safeguard the rights and freedoms of the data subject. Processed in a manner that ensures appropriate security of the personal data, including protection against unauthorised or unlawful processing and against accidental loss, destruction, or damage, using appropriate technical or organisational measures. The processing is necessary for the purposes of the legitimate interests pursued by the data controller or by a third party, except where such interests are overridden by the fundamental rights and freedoms of the data subject which require protection of personal data, in particular where the data subject is a child. The Company only collects, processes, and holds personal data for the specific purposes set out in Part 21 of this Policy (or for other purposes expressly permitted by the GDPR). Data subjects are kept informed at all times of the purpose or purposes for which the Company uses their personal data. Please refer to Part 12 for more information on keeping data subjects informed. The Company will only collect and process personal data for and to the extent necessary for the specific purpose or purposes of which data subjects have been informed (or will be informed) as under Part 5, above, and as set out in Part 21, below. The Company shall ensure that all personal data collected, processed, and held by it is kept accurate and up-to-date. This includes, but is not limited to, the rectification of personal data at the request of a data subject, as set out in Part 14, below. The accuracy of personal data shall be checked when it is collected or within 30 days. If any personal data is found to be inaccurate or out-of-date, all reasonable steps will be taken without delay to amend or erase that data, as appropriate. The Company shall not keep personal data for any longer than is necessary in light of the purpose or purposes for which that personal data was originally collected, held, and processed. When personal data is no longer required, all reasonable steps will be taken to erase or otherwise dispose of it without delay. For full details of the Company’s approach to data retention, including retention periods for specific personal data types held by the Company, please refer to our Data Retention Policy. The Company shall ensure that all personal data collected, held, and processed is kept secure and protected against unauthorised or unlawful processing and against accidental loss, destruction, or damage. Further details of the technical and organisational measures which shall be taken are provided in Parts 22 to 27 of this Policy. The Data Protection Officer shall be responsible for overseeing the implementation of this Policy and for monitoring compliance with this Policy, the Company’s other data protection-related policies, and with the GDPR and other applicable data protection legislation. Detailed descriptions of all technical and organisational measures taken by the Company to ensure the security of personal data. The Company shall carry out Data Protection Impact Assessments for any and all new projects and/or new uses of personal data [which involve the use of new technologies and the processing involved is likely to result in a high risk to the rights and freedoms of data subjects under the GDPR]. Proposed measures to minimise and handle identified risks. c)As soon as reasonably possible and in any event not more than one month after the personal data is obtained. Details of any automated decision-making or profiling that will take place using the personal data, including information on how decisions will be made, the significance of those decisions, and any consequences. Data subjects may make subject access requests (“SARs”) at any time to find out more about the personal data which the Company holds about them, what it is doing with that personal data, and why. Employees wishing to make a SAR should do using a Subject Access Request Form, sending the form to the Company’s Data Protection Officer at dpo@littlestarmedia.com. Responses to SARs shall normally be made within one month of receipt, however this may be extended by up to two months if the SAR is complex and/or numerous requests are made. If such additional time is required, the data subject shall be informed. All SARs received shall be handled by the Company’s Data Protection Officer. The Company does not charge a fee for the handling of normal SARs. The Company reserves the right to charge reasonable fees for additional copies of information that has already been supplied to a data subject, and for requests that are manifestly unfounded or excessive, particularly where such requests are repetitive. Data subjects have the right to require the Company to rectify any of their personal data that is inaccurate or incomplete. The Company shall rectify the personal data in question, and inform the data subject of that rectification, within one month of the data subject informing the Company of the issue. The period can be extended by up to two months in the case of complex requests. If such additional time is required, the data subject shall be informed. In the event that any affected personal data has been disclosed to third parties, those parties shall be informed of any rectification that must be made to that personal data. Unless the Company has reasonable grounds to refuse to erase personal data, all requests for erasure shall be complied with, and the data subject informed of the erasure, within one month of receipt of the data subject’s request. The period can be extended by up to two months in the case of complex requests. If such additional time is required, the data subject shall be informed. You can withdraw your consent to share your data with us at any time by unsubscribing from our database. If you wish to unsubscribe from this service, please click the ‘Unsubscribe’ link in any email that you have received from us. Alternatively, you can contact us via the ‘Contact us’ link at the bottom of the site or by emailing support@superfreeslotgames.com, using the subject line “Unsubscribe” and providing your name, as well as the email address and mobile number that you signed up with. Please allow 3 – 5 working days for your request to be processed. You will need to unsubscribe separately from receiving our SMS messages by texting EXIT to 88440. To unsubscribe from retargeting, you will need to unsubscribe from both the email and SMS databases, and will need to allow up to 31 days for this to take effect. Data subjects may request that the Company ceases processing the personal data it holds about them. If a data subject makes such a request, the Company shall retain only the amount of personal data concerning that data subject (if any) that is necessary to ensure that the personal data in question is not processed further. In the event that any affected personal data has been disclosed to third parties, those parties shall be informed of the applicable restrictions on processing it (unless it is impossible or would require disproportionate effort to do so). The Company processes personal data using automated means. This is done through API from webforms into external databases in the EU with the following companies; Accelerize Inc, IBM United Kingdom Ltd and Bulk SMS Limited. Where data subjects have given their consent to the Company to process their personal data in such a manner, or the processing is otherwise required for the performance of a contract between the Company and the data subject, data subjects have the right, under the GDPR, to receive a copy of their personal data and to use it for other purposes (namely transmitting it to other data controllers). Where technically feasible, if requested by a data subject, personal data shall be sent directly to the required data controller. Data subjects have the right to object to the Company processing their personal data based on legitimate interests, direct marketing (including profiling), [and processing for scientific and/or historical research and statistics purposes]. Where a data subject objects to the Company processing their personal data based on its legitimate interests, the Company shall cease such processing immediately, unless it can be demonstrated that the Company’s legitimate grounds for such processing override the data subject’s interests, rights, and freedoms, or that the processing is necessary for the conduct of legal claims. Where a data subject objects to the Company processing their personal data for direct marketing purposes, the Company shall cease such processing immediately. Email Address Email gambling offers and newsletters to users who have consented to receive these – Users will normally receive emails up to 3 times per week, but on occasion this could be up to 4 times per week. We use Google Analytics on this website. Therefore, third-party vendors, including Google, may show our ads on sites across the Internet. The Google Analytics features that have been implemented are used for Display Advertising (including Google Display Network Impression Reporting, the DoubleClick Campaign Manager integration, or Google Analytics Demographics and Interest Reporting). We and third-party vendors, including Google, use first-party cookies (such as the Google Analytics cookie) and third-party cookies (such as the DoubleClick cookie) together to inform, optimise, and serve ads based on past customer visits to our website. We also use these cookies to report how our ad impressions and other ad services, and interactions with these, relate to visits to our site. We use Google Analytics Demographics and Interest Reporting in order to target users who have a higher probability of being interested in our products. We also may use third party audience data (such as age, gender, and interests) to help guide our website offering to better meet consumer needs, and ultimately improve the user experience. A cookie helps us, for example, to analyse web traffic or lets us know when you visit a particular site. This enables us to enhance your user experience when visiting Super Free Slot Games by placing cookies on your computer. All personal data to be transferred physically, whether in hardcopy form or on removable electronic media shall be transferred in a suitable container marked “confidential”. No personal data should be transferred to any device personally belonging to an employee and personal data may only be transferred to devices belonging to agents, contractors, or other parties working on behalf of the Company where the party in question has agreed to comply fully with the letter and spirit of this Policy and of the GDPR (which may include demonstrating to the Company that all suitable technical and organisational measures have been taken). When any personal data is to be erased or otherwise disposed of for any reason (including where copies have been made and are no longer needed), it should be securely deleted and disposed of. For further information on the deletion and disposal of personal data, please refer to the Company’s Data Retention Policy. Where personal data held by the Company is used for marketing purposes, it shall be the responsibility of the Data Protection Officer to ensure that the appropriate consent is obtained and that no data subjects have opted out, whether directly or via a third-party service such as the TPS. No software may be installed on any Company-owned computer or device without the prior approval of the management. Where any agent, contractor or other party working on behalf of the Company handling personal data fails in their obligations under this Policy that party shall indemnify and hold harmless the Company against any costs, liability, damages, loss, claims or proceedings which may arise out of that failure. The Company may from time to time transfer (‘transfer’ includes making available remotely) personal data to countries outside of the EEA. The transfer is made from a register that, under UK or EU law, is intended to provide information to the public and which is open for access by the public in general or otherwise to those who are able to show a legitimate interest in accessing the register. All personal data breaches must be reported immediately to the Company’s Data Protection Officer. If a personal data breach occurs and that breach is likely to result in a risk to the rights and freedoms of data subjects (e.g. financial loss, breach of confidentiality, discrimination, reputational damage, or other significant social or economic damage), the Data Protection Officer must ensure that the Information Commissioner’s Office is informed of the breach without delay, and in any event, within 72 hours after having become aware of it. In the event that a personal data breach is likely to result in a high risk (that is, a higher risk than that described under Part 29.2) to the rights and freedoms of data subjects, the Data Protection Officer must ensure that all affected data subjects are informed of the breach directly and without undue delay. Details of the measures taken, or proposed to be taken, by the Company to address the breach including, where appropriate, measures to mitigate its possible adverse effects. This Policy shall be deemed effective as of 16/05/2018. No part of this Policy shall have retroactive effect and shall thus apply only to matters occurring on or after this date. This website is not for use by those under the age of 18 years and/or those living outside the UK. If you are over 18 and live in the UK, you are welcome to use our website. The term ‘Super Free Slot Games’ or ‘us’ or ‘we’ refers to the owner of the website whose registered office is Little Star Media Ltd, Exchange House, 450 Midsummer Boulevard, Milton Keynes, MK9 2EA. By signing up to the Super Free Slot Games website (entering your name, email address and/or mobile number), you agree to receive marketing communications from Super Free Slot Games and their associated websites, including emails and SMS messages. This website includes links to other websites, including slot game sites operated by third parties. These links are provided for your convenience to provide further information. They do not signify that we endorse the website(s). We have no responsibility for the content of linked website(s). It is your responsibility to make yourself familiar with the terms and conditions and play rules operated by those third parties. Please note that where third party sites offer ‘free slots’ or ‘free slot games’ schemes, they will be subject to the rules of the particular site operator. There may be restrictions upon how you can use and/or withdraw any sums or winnings from ‘free slots’ or ‘free slot games’ schemes. Such schemes may only apply to new, first time players. Rules vary from scheme to scheme and you should check the terms and conditions and scheme rules appearing on the particular third party website. If in doubt, you should contact customer support for the relevant site operator. The offers that are shown within our advertising and communications may not appear or may differ from those on site, according to which device you are browsing on, e.g. mobile, desktop or tablet. Please note that the offer received from our advertising promotion, ‘The Wheel Deal’, is the same each time you spin. Offer received is not random. You may not create a link to this website from another website or document without Super Free Slot Games’s prior written consent. Little Star Media is registered under the Data Protection Act 1998. Registration Number Z1426156. The information is provided by Super Free Slot Games and whilst we endeavour to keep the information up-to-date and correct, we make no representations or warranties of any kind, express or implied, about the completeness, accuracy, reliability, suitability or availability with respect to the website or the information, products, services, or related graphics contained on the website for any purpose. Any reliance you place on such information is therefore strictly at your own risk. Through this website you are able to link to other websites which are not under the control of Super Free Slot Games. We have no control over the nature, content and availability of those sites. The inclusion of any links does not necessarily imply a recommendation or endorse the views expressed within them. ANY LINKS TO THIRD PARTY SITES (INCLUDING BINGO SITES) ARE PROVIDED FOR YOUR CONVENIENCE TO PROVIDE FURTHER INFORMATION. WE HAVE NO RESPONSIBILITY FOR THE CONTENT OF LINKED WEBSITE(S). IT IS YOUR RESPONSIBILITY TO MAKE YOURSELF FAMILIAR WITH THE TERMS AND CONDITIONS AND PLAY RULES OPERATED BY THOSE THIRD PARTIES. Every effort is made to keep the website up and running smoothly. However, Super Free Slot Games takes no responsibility for, and will not be liable for, the website being temporarily unavailable due to technical issues beyond our control. Gambling whilst under the age of 18 is a criminal offence. We take this very seriously, so to use this site and access the gambling sites that we are promoting, you must be aged 18 or over. 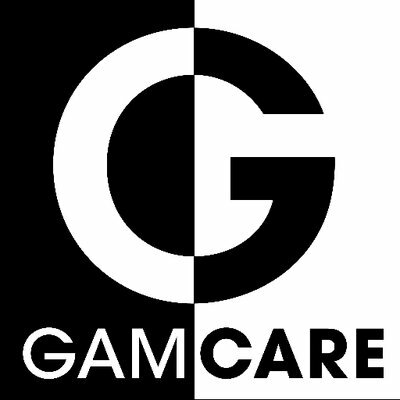 GambleAware is an independent charity, and a commissioning and grant-making body. They fund research, education and treatment services to help to reduce gambling-related harms in Great Britain. please click here to go to the ‘About Us’ section.